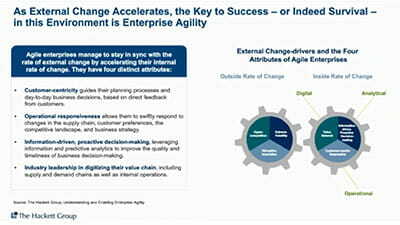 Slow, manual, error-prone processes, ERP systems that aren’t optimized, high costs, a lack of control and visibility into data. These aren’t just problems that pop up in a single department within finance, like accounts payable. They extend across all financial process chains, including procure-to-pay, order-to-cash and record-to-report. Implementing solutions that provide end-to-end automation across all of these process silos increases collaboration, connects key stakeholders to powerful data insights and helps you build stronger relationships with suppliers and customers. With optimized productivity, reduced costs, and up-to-date audit trails, your business will have the power to make the continuous process improvements that lead to sustained growth. Faster cycle times enable finance departments to increase productivity while improving supplier relationships and customer service. Get early payment discounts, reallocate staff to other projects and lower the number of returns from customers because of order errors. With a clear view into performance and process metrics, finance can provide key intelligence while making continuous process improvements. Standardize processes, catch potential problems early and maintain a complete audit trail to ensure regulatory compliance. Within a single process, document processing systems offer a sizable return on investment. But even more benefits will accrue to companies that leverage a common system across multiple process towers, ranging from greater consistency in financial processes from end to end to tighter process linkage. 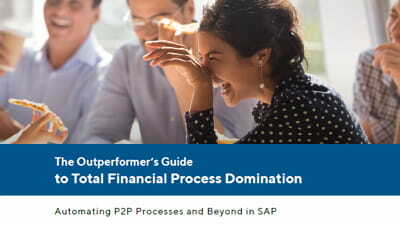 Turn individual financial processes into an end-to-end process chain that enables the nimble exchange of information and a more strategic use of data.